Awesomatix USA: Awesomatix wins three classes at ROAR Regionals last weekend! Awesomatix wins three classes at ROAR Regionals last weekend! Team Awesomatix USA competed in within two different ROAR Asphalt Regionals - Region 2 and Region 5 - sweeping the Modified Touring Classes, and winning Stock Touring in Region 2. "The day stared off with rain so I was not able to do any testing with FDR in 17.5T Touring. Dave Johnson showed (VBC driver & 2012 ROAR National Champ in 17.5T Asphalt) so I was sure he was going to be fast. I missed tq by 0.7s to Dave after three rounds of qualifying. I felt my car lacked a little punch out of the corners so I made a gearing change for the main. In the main I was battling for the lead and took it from Dave but I was drilled a few times in the next corner. After marshaling I came back to finish fourth and set fast lap in the main. 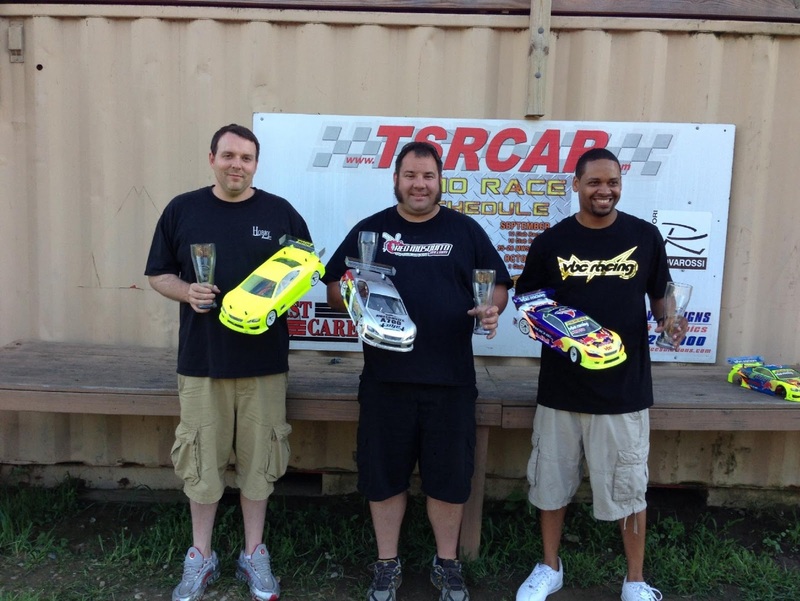 In Modified Touring I tq'd by 7 seconds and on my own lap, I was also able to bring home the win. Dave Johnson finished 2nd." Monti raced a Awesomatix A700L USA SPEC in 17.5T and a A700EXL in Modified. 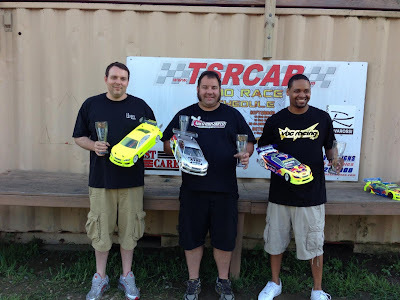 The third leg of a three race Region 2 Asphalt Championship series finished up at John's Mobile RC/Middle River Hobbies. The parking lot track had great traction, and rewarded drivers cutting super tight lines. In a deep field of 17.5T Touring cars, Larry Fairtrace came out to run a borrowed Awesomatix A700 USA SPEC car again after his previously TQ+Win a month ago at Jackson RC. Four Awesomatix touring cars qualified for the A-main -- Larry TQ, Mike Gee 5th, Karl Hoffmeister 7th and Mike Hanulec 9th. Larry proceeded to TQ and Win the first two A-mains uncontested. Due to some unfortunate tie-breaking rules, Larry's dual TQ + Wins wasn't enough to give him the overall win for the series after not attending the first event. I think everyone who attended the event knew who the real winner was! 2. Larry Fairtrace - Awesomatix A700L USA SPEC - 2x TQ & 2x Wins! 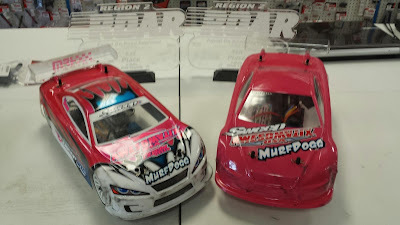 In Modified Touring car, the battle for TQ was between Team Awesomatix driver Mike Gee and Team Associated driver Mike Haynes. Haynes took the overall TQ, but after running triple A-mains Mike Gee took the overall win for the day! This win, combined with his Jackson TQ + Win and Debbies TQ gave Gee the Modified series crown. Awesomatix USA sponsored the 17.5T Touring class for this Region 2 series, and offered a sponsorship + Awesomatix kit to the overall winner. 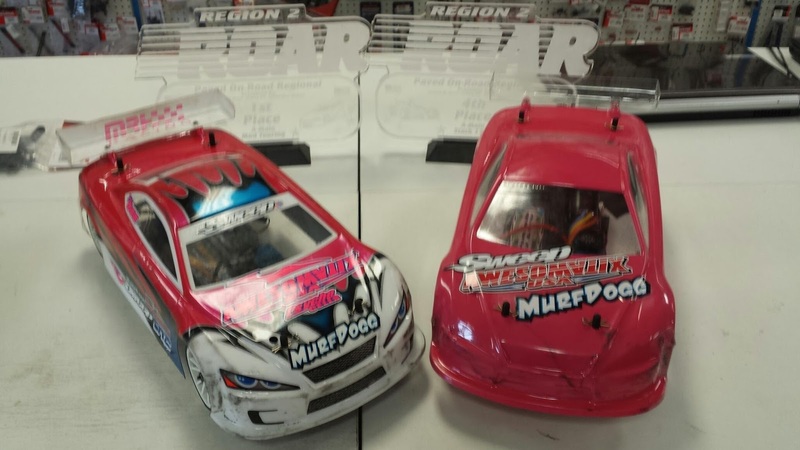 Region 2 is known for their super fast stock racers, so helping bring another racer into the family is goal to build up the team. The two top in the series turned down the sponsorship due to existing committments, but we are happy to welcome Danny Jenkins to the Awesomatix USA family of racers. Danny is a well known regional and national competition who has made many stock A-mains in past national events.